Remember when Scott Rothstein was first accused of running a billion dollar Ponzi scheme and he ran off to Morocco? 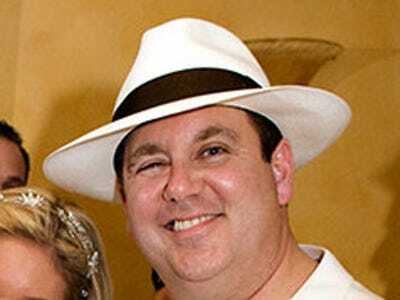 Well, immediately upon his November 3, 2009, return to face charges related to the scheme, Rothstein began cooperating with prosecutors, and, in discussing everyone he did business with, mentioned Robert Settineri, an alleged go-between for the Gambino crime family in Brooklyn and a crime family in Sicily, the CBS4 investigative team in Miami reported. By November 8, Rothstein was instructed by federal agents to contact Senttineri and other mobsters to ask them to help destroy some of his financial records. It’s at this point that Rothstein very publicly drank a martini at the local Capital Grille and said he was not cooperating with federal authorities. But, as for how this saga ends (for now) — 3 alleged mobsters, including Settineri, were arrested last week and Rothstein will reportedly be entering witness protection. He’ll serve his prison time outside of Florida and under an assumed name, the article said. The admitted Ponzi-schemer will be sentenced in May and faces up to 100 years, though, of course, cooperation in such a high-profile case was likely done to shave some years off the sentence.